From here on, I’ll be watching to see if some politician doesn’t appear with an interpreter in pajamas. And I’ll inevitably be disappointed, but it’ll keep me awake during the most boring of speeches. 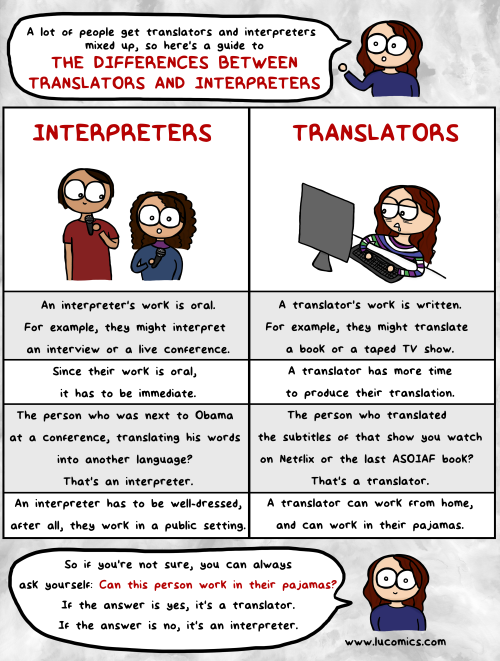 Today’s piece on translators and interpreters came through in print too small to be legible. I looked in vain for a way to augment the size. Could you please forward it again in a larger format? It looks especially interesting. Thank you. Click on the image and it will enlarge to full size in your browser.